Spanish football team unveils spectacularly bizarre new kit design - trendistic.com: ever tried. ever failed. no matter. try again. fail again. fail better. 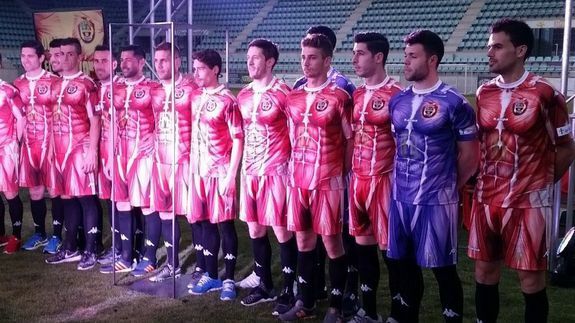 Spanish football team C. D. Palencia have unveiled a new team kit, and if the underlying aim is to distract/terrify their opposition then they may well be onto a winner. Photos of the kit, which the Telegraph reports was designed by sportswear company Kappa, were shared on social media on Thursday. In the softer light of the photo below you can really see the muscle detail.